Bio: Rodney has had a highly respected career in the UK music industry starting as a member of the pioneering Hip Hop group “London Posse”. He has gone on to pursue a successful solo career in music collaborating with the likes of Bjork, Dub Pistols, Benjamin Zephaniah and Jeff Beck to name a few. His latest album is scheduled for release late 2017 on Tru Thoughts Records. As a radio broadcaster he, along side DJ Skitz presented “The Original Fever” a ground breaking Urban music show on BBC Radio 1Xtra for over 6 years interviewing some of the biggest names in music including Pharrell Williams, P Diddy and Kanye West. 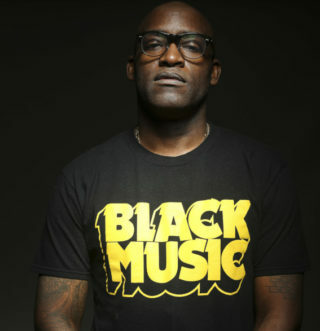 He has presented radio documentaries including the Sony Award nominated “Concrete Heat” and also appeared in many TV documentaries including “How Hip Hop Changed the World” and “Random Acts” both for Channel 4 and “The Mercury Music Awards” for the BBC. Rodney provided the voice for the animated rapper in the 2011 television commercial for Toyota Yaris and in 2015 he narrated two and presented a third documentary in the BBC iPlayer “Notting Hill Carnival” series. Rodney’s acting credits include the award winning feature film "Rollin with the Nines" and the interactive Channel 4 series "Dubplate Drama". Most recently Rodney presented “The Hip Hop World News” a 90minute authored film for BBC 4 in which Rodney set out to show what the World looks like through the lens of Hip Hop interviewing Hip Hop icons like Russell Simmons, Rakim and Chuck D of Public Enemy. Description: Rodney's background in Hip Hop and Rap gives him a cool, urban tone. Perfect for spoken word, poetry and a lyrical delivery!